NOAA yesterday posted its monthly update of the solar cycle, covering sunspot activity for May 2018. As I do every month, I have annotated the graph and posted it below. The small uptick in sunspots that we saw in April after the low in March continued. On Sunday NOAA posted its monthly update of the solar cycle, covering sunspot activity for April 2018. Below is my annotated version of that graph. While there was an uptick in sunspots in April, compared to the almost complete inactivity in March (the least active month for sunspots in a decade), the uptick did little to change the general trend. Sunspot activity is now comparable to what we saw in early 2008 (as indicated by the yellow line). This was just before the arrival of the previous solar minimum, which happened to also be one of the longest and deepest on record. In linking to my sunspot update this week, there has been a lot of speculation at the climate website WattsUpWithThat that the next solar cycle has begun. The speculation at WattsUpWithThat, which suggested that this sunspot was the first such sunspot this cycle, was not quite accurate however. This sunspot with an opposite polarity, which decayed so quickly that it did not rate getting a sunspot number, was not the first. 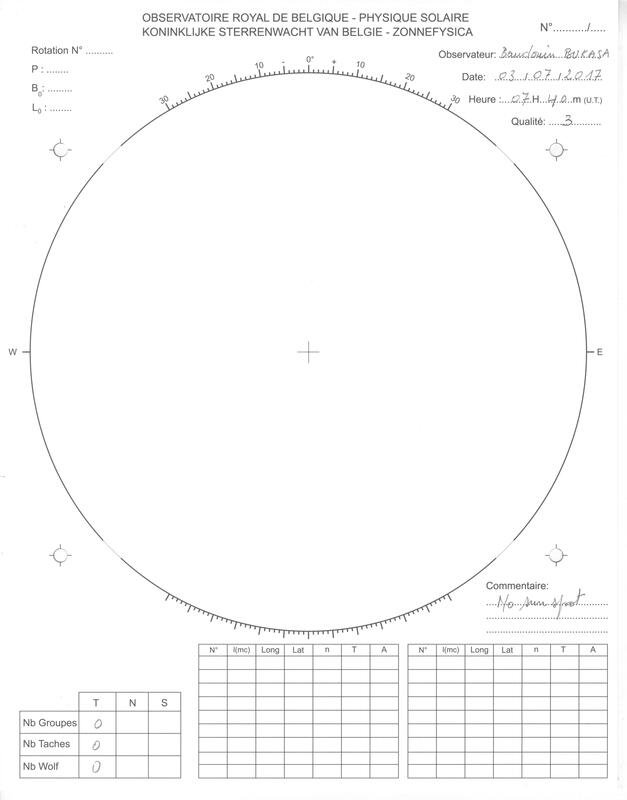 This week the Solar-Terrestrial Centre of Excellence, a Belgian organization focused on space-solar science, published this very good article discussing not only this sunspot but two others, one of which occurred more than a year ago. It’s time for my monthly sunspot update. On Sunday NOAA posted its monthly update of the solar cycle, covering sunspot activity for February 2018. Below the fold is my annotated version of that graph. Sunspot activity in February continued the low activity seen in November, December, and January, with November 2017 still the most inactive month for sunspots since the middle of 2009. In fact, the low activity we are seeing now is somewhat comparable to the low activity seen during the ramp down to solar minimum in the first half of 2008. By the end of that year we had hit solar minimum, the deepest and longest in a hundred years, suggesting that we might even hit solar minimum before the end of this year. That would have this happen at least a year earlier than all predictions. The precipitous decline in sunspots continues. While November 2017 remains the most inactive month for sunspots since the middle of 2009, December was a very close second. Below is my annotated version of NOAA’s monthly update of the solar cycle, covering sunspot activity for December, which they posted on Sunday. 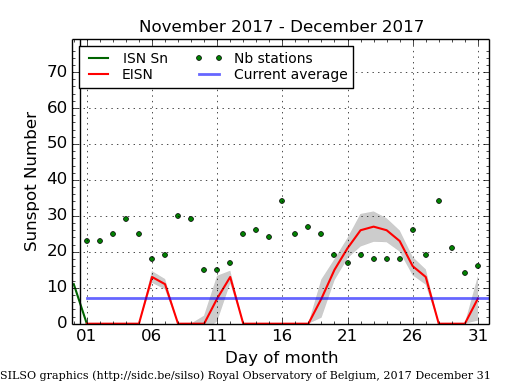 The graph on the right, produced by SILSO (Sunspot Index and Long-term Solar Observations) on December 31, shows only 14 days during the month when there were sunspots active on the Sun’s visible hemisphere. This is only four more days then seen in November. And like November, the few sunspots were weak, resulting in tiny sunspot numbers total. The first graph above illustrates how weak this on-going sunspot cycle has been. While the curve most closely matches the 2007 weak prediction of half the solar science community, it has one very notable difference. The actual ramp up to solar maximum started two years later than predicted, even though it appears to be ending when that prediction expected. The result is a very very short solar cycle, something that has historically always been associated with very active and intense sunspot activity. Instead, this short cycle has only seen weak activity, generally below all the predictions. All signs continue to point to an early arrival of solar minimum. They also suggest that the next maximum will also be weak, and might even not come at all, as some solar scientists have proposed. Instead, we might be heading toward another Grand Minimum, with no significant sunspots for decades. So, is it cold outside right now? Well, that’s weather, not climate. Nonetheless, there is a lot of circumstantial evidence that few sunspots correspond with a cooling climate on Earth. (The last grand minimum occurred in the 1600s, during what was called the Little Ice Age.) There is even some preliminary evidence to suggest that cosmic rays might be a cause. (Watch the video at the end of this link.). Whether any of this will happen however remains unknown. We will need to wait to find out. The past month was the most inactive month for sunspots since the middle of 2009, when the last solar minimum was just ending and the Sun was beginning its ramp up to solar maximum. NOAA on Sunday posted its monthly update of the solar cycle, covering sunspot activity for November. As I have done every month since 2010, I have posted that graph below, with annotations. 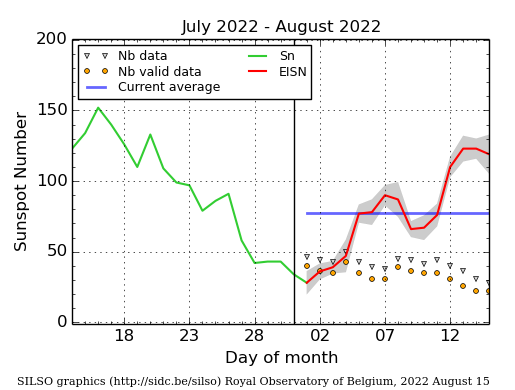 I have also added a straight yellow line near the bottom of the graph, indicating how the lack of activity this past month corresponds with the lack of activity in the summer of 2009, just when that unusually long and deep solar minimum was beginning to end. 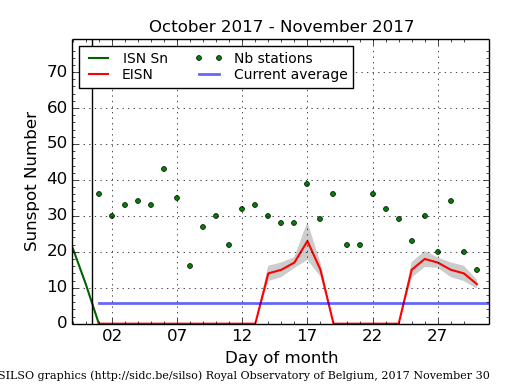 To get an idea how few sunspots were seen in November, the graph on the right, produced by SILSO (Sunspot Index and Long-term Solar Observations) on December 1, shows only 10 days during the entire month when any sunspots were active on the Sun’s visible hemisphere. And even those sunspot were few and weak, resulting in tiny sunspot numbers total. Nor is December looking any different, with no sunspots recorded so far, four days into the month. The plunge to solar minimum continues to appear to be happening faster than normal. At this pace, solar minimum will arrive in early 2018, making this one of the shortest solar cycles on record. That in itself would be unprecedented, as short cycles in the past have always accompanied very active solar maximums, not weak maximums like the maximum we have just seen. I still expect the ramp down to solar minimum to slow down and stretch out to 2019, as would be more normal, but I also would not bet any money on this expectation, at this point. The big question remains: Will the solar cycle continue as normal after this upcoming solar minimum, or will we instead see our first grand minimum since the Maunder Minimum in the 1600s, a period lasting for about a century with no obvious sunspots that also corresponded to the Little Ice Age? NOAA today posted its monthly update of the solar cycle, covering sunspot activity for October. That graph is posted below, with annotations. After two straight months of rising sunspot activity, the number of sunspots plunged in October, returning the numbers almost exactly back to the general trend we have seen since 2014 when the solar maximum ended. While the short two month increase indicated that the minimum will not occur as soon as this long term trend suggests, the quick return to that trend this month suggests that it will. Meanwhile, November is six days old and has yet to see any sunspots at all. On Sunday NOAA posted its monthly update of the solar cycle, covering sunspot activity for September. That graph is posted below, with annotations. Last month saw the strongest amount of sunspot activity in a year, thus helping to bring the pace in the decline of sunspot activity back towards the low prediction from April 2007. This also suggests that the ramp down to solar minimum will continue through 2019, with minimum not occurring before then, at the earliest. At the same time, the increase in sunspot activity seen in September seems to have eased in October, with the return of a blank Sun this past week. Yesterday NOAA posted its monthly update of the solar cycle, covering sunspot activity for August. That graph is posted below, with annotations. The long slow decline to solar minimum has now shown itself. Up until now, the ramp down from solar maximum had been fast and steep, unlike past solar cycles where the ramp down is slow and steady. The last few months the ramp down had practically ceased. In this August graph the ramp down turned into a temporary ramp up. Considering the strong activity going on right now as well as the past week, I expect the September numbers to also show this increase. None of this means that the ramp down has ended, or that we will not see a solar minimum. All it means is that it takes awhile for the Sun to slowly calm down after each solar maximum. The sunspots we are seeing right now, all near the equator, are from the solar cycle now slowly ending. We will know the minimum is coming as well as the next solar maximum when the first tiny and rare sunspots appear in high latitudes. These high latitude sunspots will belong to the next cycle, and will have reversed polarity. NOAA today posted its monthly update of the solar cycle, covering sunspot activity for July. As I have done every month since 2010, the graph is posted below, with annotations. Sunspot activity in July remained almost exactly the same as in both May and June. This is the first indication that this cycle’s ramp down from solar maximum will follow the standard pattern of a slow and extended decline to minimum. Up until now the drop in sunspot activity has been as fast as the increase during ramp up. Historically the ramp down has instead been slower, sloping downward gently and over a much longer time period. The last few months suggest that this cycle’s end is beginning to resemble past cycles. Meanwhile, a review of past solar cycles by German scientists suggests that a cyclical cooling period in the Sun’s output is coming, and that such ups and downs can be tracked in the solar record. Nonetheless, the past fluctuations seem to follow a cyclical pattern, and thus also appear to confirm other studies that suggest we are heading towards another grand minimum, with no sunspots for decades, which also in the past corresponded with cooler global temperatures. The uncertainties of science: Scientists have discovered that the core of the Sun rotates four times faster than its surface layers. The researchers studied surface acoustic waves in the sun’s atmosphere, some of which penetrate to the sun’s core, where they interact with gravity waves that have a sloshing motion similar to how water would move in a half-filled tanker truck driving on a curvy mountain road. From those observations, they detected the sloshing motions of the solar core. By carefully measuring the acoustic waves, the researchers precisely determined the time it takes an acoustic wave to travel from the surface to the center of the sun and back again. That travel time turns out to be influenced a slight amount by the sloshing motion of the gravity waves, Ulrich said. 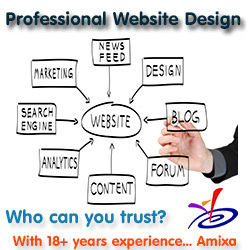 This phenomenon had been predicted more than twenty years ago, but never observed until now. The uncertainty of science: New data, when compared with similar data collected over decades, suggests the Sun’s solar cycle is undergoing some fundamental changes. In work just published in the Monthly Notices of the Royal Astronomical Society, the team shows that the interior of the Sun has changed in recent years, and that these changes persist in the current cycle. In combination with theoretical models, the observations suggest that the magnetic field distribution in the outer layers may have become a bit thinner. Other seismic data shows that the rotation rate of the Sun has also undergone some changes in the way the Sun rotates at different latitudes. “Again, this is not how it used to be and the rotation rate has slowed a bit at latitudes around about 60 degrees. We are not quite sure what the consequences of this will be but it’s clear that we are in unusual times. However, we are beginning to detect some features belonging to the next cycle and we can suggest that the next minimum will be in about two years,” says Elsworth. First, they don’t know what will happen because of these changes. Second, their data confirms that the solar minimum will occur in about two years, which would make this cycle only 9 years long, one of the shortest but also one of the weakest that has been observed, two things that previously had never gone together. Today NOAA posted its monthly update of the solar cycle, covering sunspot activity for April. It is posted below, with annotations, as I have done now every month since 2010. April showed an uptick in sunspot activity, enough to move the numbers back up above the 2007 low prediction. Nonetheless, activity as the cycle has been ramping down has consistently and generally remained below expectation, and does seem heading to an early arrival of solar minimum, sometime in late 2019 or early 2020, about a year early. I don’t want to sound like a broken record, as I have written this practically every month since I started these updates in 2010, but this short and weak solar maximum suggests the possibility that we might be facing a grand minimum, where there are no significant sunspots for decades. Some solar scientists think this is coming. Others are much more doubtful. Regardless, we can only wait and watch, while also recognizing that weak solar maximums and grand minimums have in the past consistently coincided with global cool weather. The reasons why this has happened are not yet known, but it has happened nonetheless. On April 3, while I was in the Grand Canyon, NOAA posted its monthly update of the solar cycle, covering sunspot activity for March. As I have been doing every month since 2010, I am posting it here with annotations to give it context. The decline in sunspots continues to run below predictions, suggesting an end to this solar cycle and a solar minimum as early as sometime in 2018. And as I noted in my February update, sunspot activity continues to track the Sun’s 27 day rotation, alternating every two weeks between blank and active hemispheres. We had the longest stretch, more than two weeks, without sunspots in March. This was followed by about two weeks of activity, followed by several blank days and a relatively inactive Sun at present, beginning a little less than a week ago. I expect this period of inactivity to last another ten days or so, and then things will pick up again.